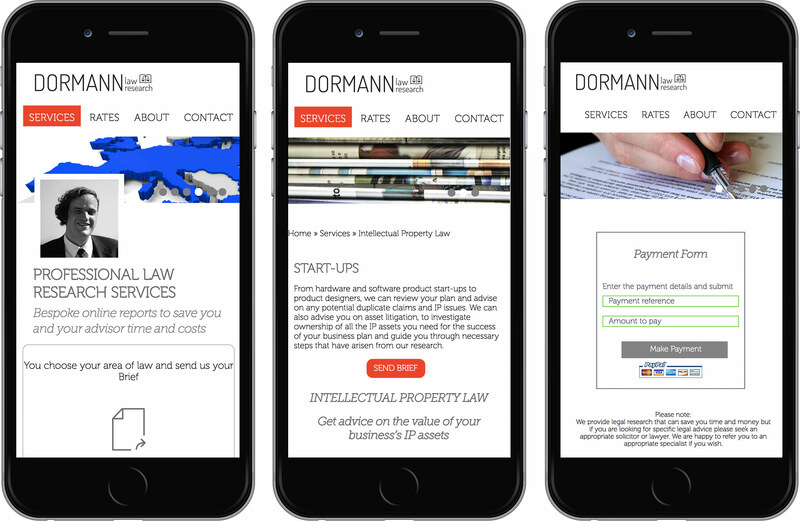 We were assigned the marketing plan and branding (logo, look and feel, colour palette) for Dormann Law Research, a newly launched law research start-up as well as the design and development for their website. 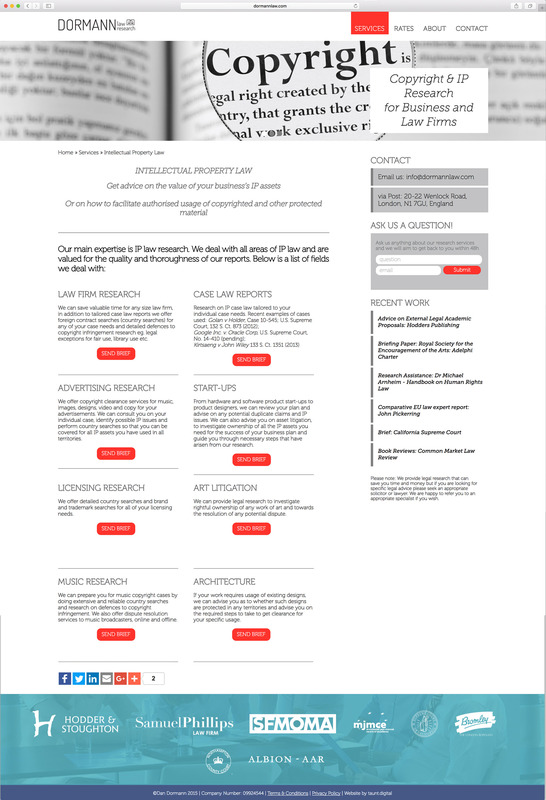 The website was fully drafted around a digital marketing plan taking into account segment and personal preferences to display unique personalised content, which always depended on the customer journey. This would usually start with SEM advertising and end with a personalised contact form. E-commerce in the form of an up-front payment facility for expedited services were also integrated into the CMS of the website. Analytics also were also fully installed to help with customer journey and UX monitoring, mailing list integration and social share buttons were also included, as well as a blog which accompanied the website for industry related updates by the author. 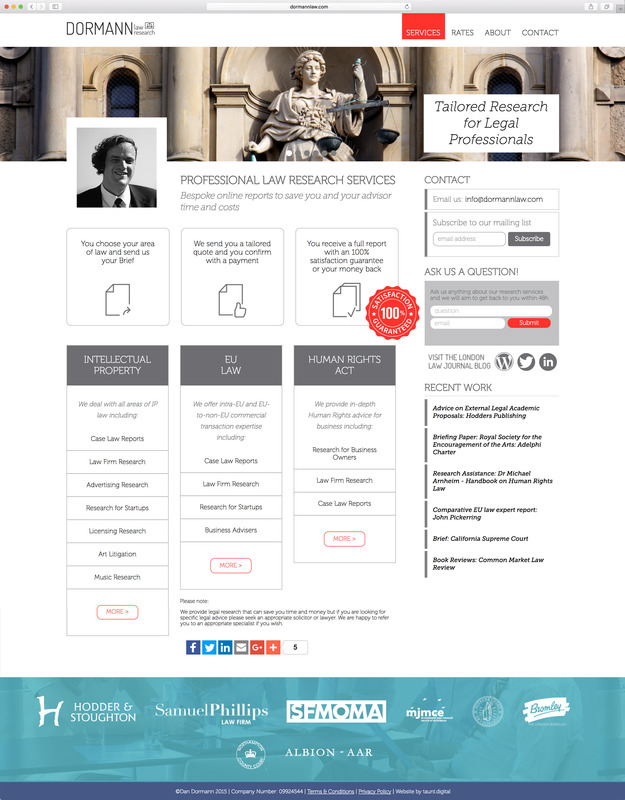 The website was fully responsive and functioning on all devices for a seamless user experience.